Back in January Techstars partnered up with Qualcomm to power a joint accelerator program focused specifically on robotics. 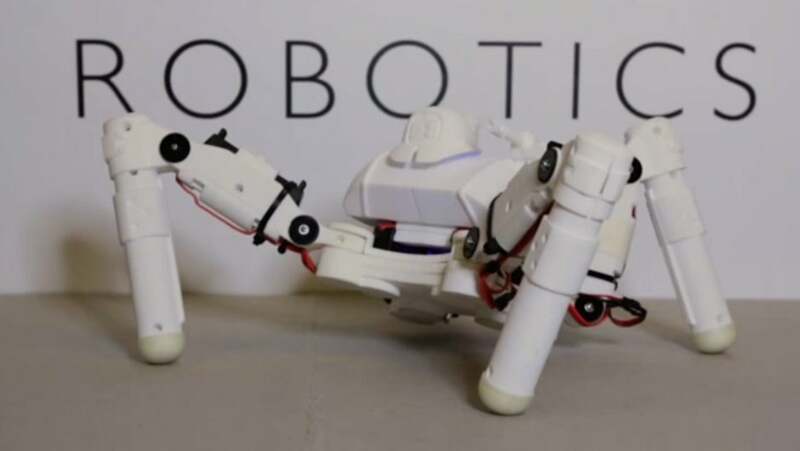 The Qualcomm Robotics Accelerator yesterday announced to the world the 10 robotics companies that will be participating in the four month, mentorship driven program. All 10 of the companies moved into the newly remodeled accelerator space on Qualcomm’s main campus in San Diego on May 26. The 7,000 square foot space was built for collaboration and is outfitted with a lab and work stations for the teams, so they can focus on building the next generation of robotics technologies. In total Qualcomm is committing over $1 million in aggregate funding to the program: each company will receive an equal share. Additionally, the participants will be offered business and technical insight on robotics during the program to support them in taking their businesses to the next level. On September 10, 2015 the program will conclude with a Demo Day where teams will pitch and demo their robotic innovations to an audience of external mentors, investors, and media. There will also be executives from Qualcomm and Qualcomm Ventures in attendance. Carbon Robotics (San Francisco, CA): A trainable, intelligent robotic arm with the capabilities of an industrial robot, but the price of a laptop. Cleverpet (San Diego, CA): Built by a team of cognitive scientists and neuroscientists who love animals, Cleverpet helps pets lead happier and healthier lives by automatically engaging them when you’re not home. They keep pet owners connected with their dogs during the day so that being apart is less stressful. Ctrlworks (Singapore): Their mission is to make robots that use everyday objects. Axon is their flagship product, built to be an autonomous fork lift, and has a low-power on board CPU, auto navigation, auto docking and charging, obstacle detection, and can support loads up to 1,000 kg. Inova Drone (San Diego, CA): Inova Drone is committed to developing innovative turnkey Commercial UAS Solutions for the Public Safely Industry. Their systems enhance the users’ experience with advanced sensor technology combined with intuitive and powerful software that enable the drones to operate safely and reliably. Reach Robotics (Bristol, UK): They’ve built the world’s first gaming robots that you can control with your smartphone. But it goes beyond entertainment as the team has also included an educational aspect to it to help people try out coding and see it play out in real life. Skyfront (Hoboken, NJ): SkyFront’s long-endurance multirotor systems enable you to gather actionable insights about crop health. Using NDVI imaging, you can pinpoint unhealthy areas and take steps to improve crop yield. The drone was also built for search and rescue as well as large scale inspections. Sky Robotics (Athens, Greece): The team has created the Open Platform for Robotics Applications (OPRA), a modular, distributed control system that’s network based. They specialize in hardware, software, and firmware, or as they like to say, simplicity in modularity. Skysense (Berlin, Germany): A fast and reliable battery charging station for drones. All you have to do is land your drone on the Skysense Charging Pad and it will begin to charge the batteries. It has a wide landing area and supports nearly all existing multicopters. Solenica (Rome, Italy): Meet Lucy, a designer robot that brings natural light into your home. Lucy’s mirrors automatically track the sun across the sky and reflect it into your home, effectively reducing your carbon footprint while giving you great sunlight. Rational Robotics (Alberta, Canada): They’re building a line of robots for the shop floor to make your life easier. The first product created is a painting robot that paints uniform coatings on whatever you want in a continuous, unaided operation.